When we plan to travel by air, getting tickets without compromising on budget & schedule is one of the prime considerations. We can help you in this regard. 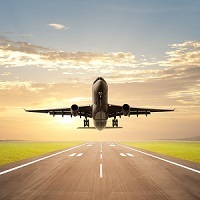 Whether you are traveling for business purposes or for leisure, we can help you in acquiring confirmed airline tickets. At Krishna Trip, we are a group of travel agents, who coordinate with clients to get exact idea about their travel needs and arrange tickets accordingly. We are operating from Kanpur City (Uttar Pradesh, India) and can be useful for booking airline tickets in the quickest and the easiest manner.